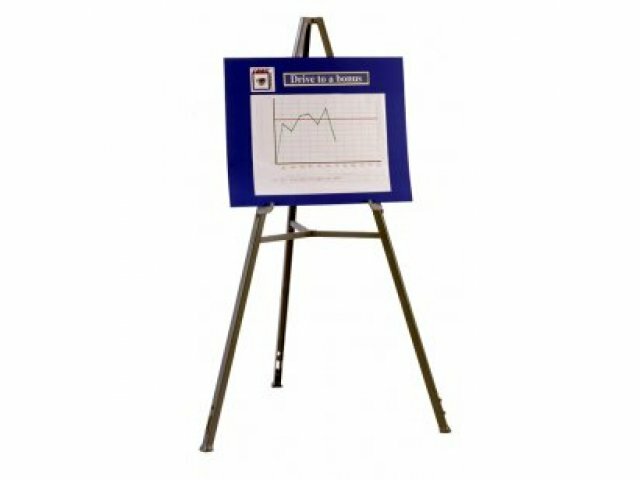 The Ghent Triumph Display Easel is the best value when it comes to display easels. It holds up to 25 pounds, yet weighs only 3 pounds. 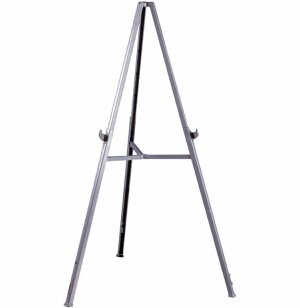 The patented design allows for easy adjustment to 37 inches for tabletop use or to 62 inches for regular use. Constructed of ABS resin, the Triumph is lightweight yet will deliver years of service. The inverted leg design adds strength and stability, and features retractable legs, permanently-positioned board holders and non-marring feet. ABS resin has good chemical, impact and heat resistance and is very strong. 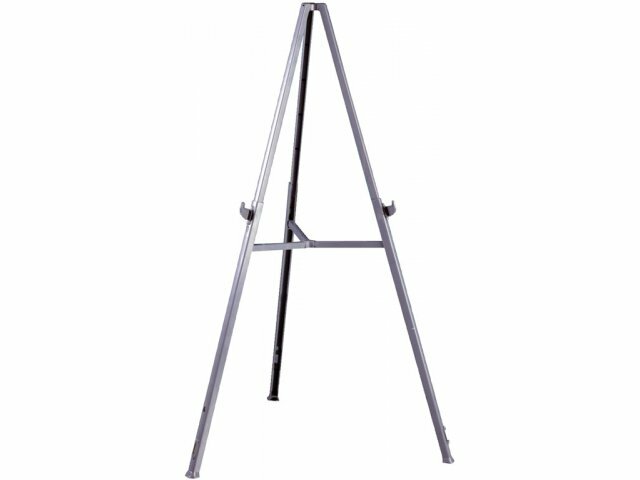 Adjustable to 37 in. for tabletop use or to 62 in. for use on floor. 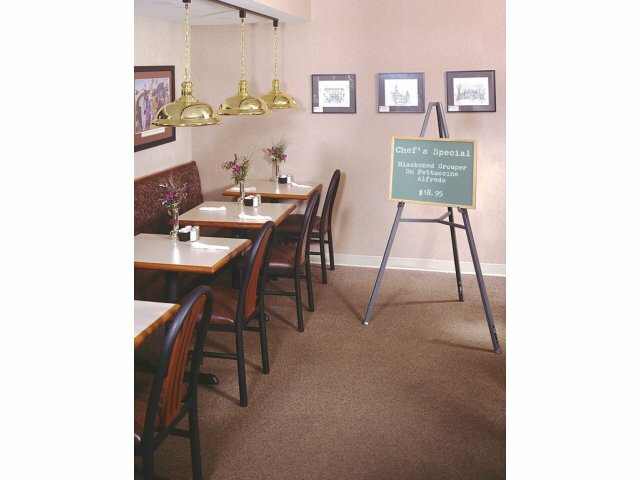 Features retractable legs, permanently-positioned board holders, and non-marring feet. 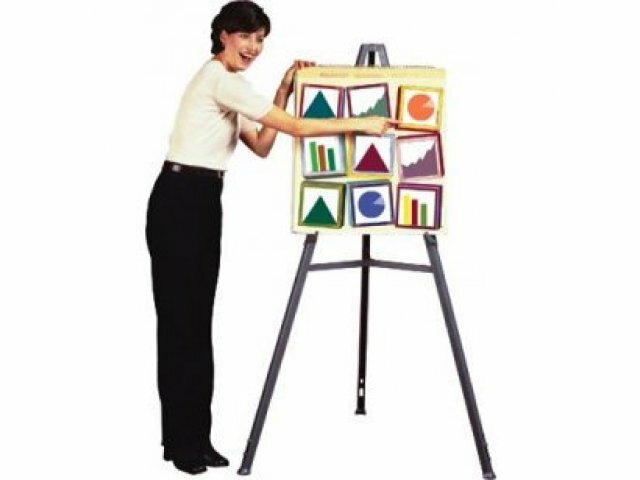 Perfect for displaying presentations, artwork, posters and small boards.